Although most of his work is based on digital illustration, he also enjoys other disciplines such as sculpture, pottery, oil painting, graffitti, pyrograbados... This has helped him to get involved in projects of all kinds. From the creation of characters on the paper and on the stage of the Chumi Chuma family music group, to a solidarity video game in which their monsters appear in virtual reality. Currently he has participated in the creation of the menu of the restaurant Ibicenco Sublimotion by Paco Roncero, collaborating with Paco Torreblanca in the elaboration of a dessert as sweet as monstrous. 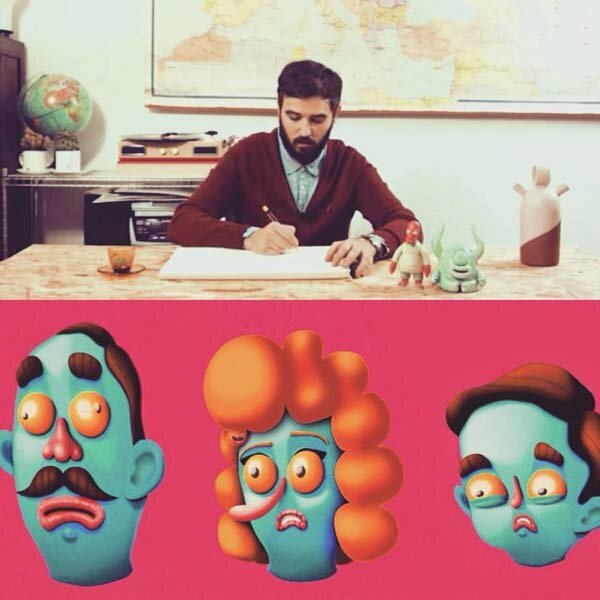 Throughout all this time he has been speaker in festivals like Pictoplasma in Berlin, Ilustrísima and the talks of Caixa Forum in Madrid or the OFFF in Barcelona; and has received awards at Cannes Lions or the Iberian American Festival El Sol, among others.